HomeCommon QuestionsAdviceVitamin E for Dogs, Is Vitamin E Good for Dogs? Vitamin E plays a very essential role in supporting pet health. Just like other fat-soluble vitamins, vitamin E supports your pet’s immune system and prevents common canine health problems that can easily come about due to deficiencies. Is vitamin E good for dogs? Can dogs take vitamin E for humans? Here is more on the health benefits of vitamin E for dogs, its safety and recommended dosage for dogs. Vitamin E and Dogs, Is Vitamin E Good for Dogs? Can Dogs Take Vitamin E for Humans? What are the Benefits of Vitamin E for Dogs? Is Vitamin E Safe for Dogs? Is vitamin E good for dogs? Vitamin E is a group of compounds that include tocopherols and tocotrienols. It naturally occurs in eight chemical forms; (alpha, beta, gamma and delta toocpherol) and (alpha, beta, gamma and delta tocotrienol). Just like it is in humans, vitamin E has a number of biological functions that sum up in the boosting and supporting the immune system. Vitamin E is a fat soluble antioxidant that among many other things maintains healthy dog skin and coat. Note, however, that while vitamins are very essential to your dog, giving too much can be harmful causing long-lasting health problems too. Vitamins are basically divided into two: water soluble and fat soluble vitamins. Water-soluble vitamins such as vitamin B and C are eliminated via urination and do not pose any overdosage risks since they are easily washed out. Fat soluble vitamins like vitamin E, on the other hand, are stored in the body (liver and fatty tissue) where too much of these vitamins can cause a number of health problems. Most dogs get their daily vitamin E requirements from their food and there’s actually no need to supplement. Just be sure to give high quality well-balanced dog food and your dog will get sufficient dietary requirements. It is necessary for dog owners to consult with a veterinarian before giving a course of vitamin E.
Vitamin E for dogs can be used both internally and externally. Soft gel capsules are the most commonly used oral form of vitamin E in dogs while vitamin E oil is used topically. While there are not much on the dangers of giving your Fido human-grade vitamins, it is advisable to give supplements and vitamins that are formulated for dogs. These ensure that your dog gets the right vitamins and at the right dosage. So, unless your vet says so, DO NOT give dogs vitamin E for humans. If you run out of dog supplies, vitamin E is not a must give supplement and your dog can in the meantime get enough from pet food until you can restock. Vitamin E is a fat soluble vitamin and should be given with a fatty meal to enhance absorption in the bloodstream. Vitamin E is a powerful antioxidant that supports and improves your dog’s immune system. It does so by fighting and reducing the number of free radicals that are formed. According to pets.thenest.com, free radicals are unstable but damaged molecules that attack healthy cells increasing the risk of various disorders. Ensuring your dog gets enough vitamin E boosts his immune system and helps to keep him healthy especially in the cold winter months where the skin tends to be dry and itchy. Experts believe that the antioxidant activity of vitamin E helps to decrease cell damage from free radicals through oxidation. This property is very important and can protect cells against change and damage that may lead to cancer. Vitamin E supports the connective tissue by maintaining the elasticity of skin and muscles and also minimizing loss of mobility in joints. 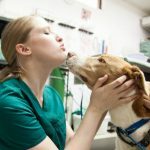 The connective tissues make up a big part of your dog’s body and play a critical role in his health. Vitamin E not only ensures your dog has a healthy and shiny coat but also helps to prevent common skin conditions such as canine dermatitis which presents with dry itchy skin, hotspots, and dandruff. 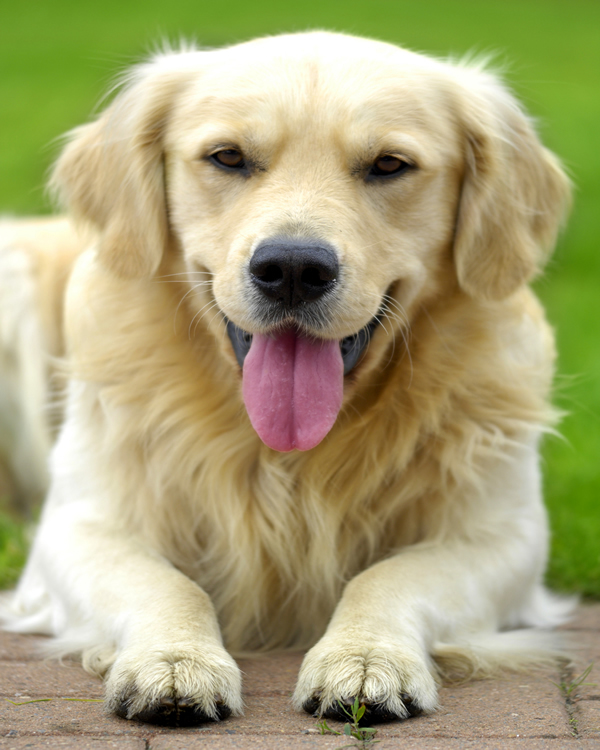 Dogs given vitamin E have a healthy coat texture. Dogs can get calluses or pressure sores on their elbows, hips, and paws when they sleep on hard surfaces or rest on a bony area. Dog calluses can be treated with vitamin E as it helps to soften and heal the skin. Put enough vitamin E Oil on the affected area and gently rub it in until fully absorbed. Make sure your dog does not lick off the area. To treat warts, puncture a vitamin E capsule with a sterilized needle. Apply the contents of the capsules directly to the warts with clean fingers or a cotton swab. DO this three to four times daily. Vitamin E oil can be used as a home remedy to help relieve pain caused by a middle and inner ear infection. Break a vitamin E capsule and drop the oil in the affected ear or ears. Vitamin E is often supplemented for purposes of boosting fertility in dogs. While there are quite a number of claims that vitamin E supports reproductive health in dogs, there is actually no experimental evidence that vitamin E boosts breeding and gestational abilities in dogs. Is it OK to rub vitamin E oil on my dog’s skin? Dogs with dry skin can greatly benefit from the application of vitamin E. Vitamin E does not have to be taken internally to benefit your dog. While your dog is having a well-balanced diet full of vitamin E goodness, rubbing his coat with vitamin E oil or soaking him in a tub of vitamin E water will help improve his skin condition. Vitamin E is full moisturizing properties and will protect your dog’s skin from getting too dry. If possible, you can have your dog take vitamin E gel caps with food. Dry skin and flaking can cause a lot of discomfort for your dog. 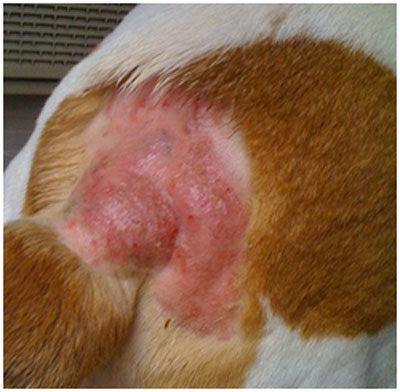 It not only causes itching but also dries out your pooch’s coat. Vitamin E can help rejuvenate dry itchy areas. Apply vitamin E and massage in the oil as close to the skin as possible. Massaging warms up your dog’s skin and helps the oil to dissolve even faster. Note that this may be a little difficult on long coated dogs. In this case, you can supplement internally to make sure your dog gets enough of required vitamin E. It is also important to rule out other causes of dogs’ itchy skin such as protein deficiency which presents with dry skin with dull, brittle and thin coat. Consult your vet for proper examination and diagnosis. How much vitamin E should I give to my dog? Vitamin E dosage for dogs depends on age, size, and health of your dog. The recommended daily dose is 400IU for small dogs and 800IU for larger ones (dogs over the age of two may be given a daily dose of 800IU). Amounts as high as 4000-6000IU per day have been given safely with no side effects. Daily recommendations may also vary depending on the source of vitamin E.
Dogs are able to get their daily vitamin E requirements from good quality, well- balanced pet food. Since fat-soluble vitamins like vitamin E are stored in the body, giving too much may increase the risk of developing long-term health problems. While there are no known toxicities of giving your dog vitamin E, giving too much may not be of any benefits either. On dog health and vitamin E, as indicated on lintbells.com, vitamin E is used to prevent oxidation of fatty foods in the foods by neutralizing free radicals which cause rancidity. Feeding your dog on commercial pet food that has been improperly prepared or stored can lead to vitamin E deficiency. Most good quality pet food contains enough vitamin E but poor storage and bad feeding practices may degrade it over time reducing the amount of vitamin E your dog actually receives. A study published in the Canadian Journal of Comparative Medicine and Veterinary Science gives a case of vitamin E deficiency in puppies that were fed and maintained on a diet of commercially evaporated milk. These pups presented with progressive muscle weakness in the fore and hind legs by about the twentieth day after birth. They also exhibited lack of muscle tone and hypersensitivity to pain. Feeding these puppies with synthetic alpha tocopherol alleviated symptoms of vitamin E deficiency. It is recommended to begin therapy before symptoms become too advanced. There are no known toxicities from giving vitamin E to dogs even at high doses. Once you start giving vitamin E to your dog, he may initially show signs of lethargy but will with time adjust to it. Large doses may result in vomiting especially when given orally. Vitamin E increases the ability of the body to absorb other fat-soluble vitamins in the body such as vitamin A which is potentially toxic at high doses. High levels of vitamin E have also been found to increase the risk of bleeding disorders. It may block proper absorption of vitamin D and K.
To prevent overdosage store vitamin E and all other medications in pet-proof containers away from all household pets. DO NOT give vitamin E to your dog if there are any known allergies to it. It is best to stick to the recommended dose despite the said safety even at high doses. You can easily buy vitamin E for dogs over the counter even without a prescription at any pet store such as Pet Planet UK and Petbarn Australia. What is the best source of vitamin E for dogs? Vitamin is widely found in commercial organic dog food. Foods that contain wheat germ are said to be good sources of vitamin E. When considering the best vitamin E to give to your pets, natural sources are preferred over synthetic. Supplements your dog’s diet with fruits and a few drops of vegetable oil. Why would it show lethargy at first possibly? What would cause that if there are no known side effects of normal dosages? I’ve read elsewhere to use 8 IU per dog pound so for my 21 lb dog it would be 168 IU. Your 400 IU for ‘small dogs’ seems high. My vet stated only 20-25 mg which is MG not IU and conversion charts aren’t clear what that means in IU since there are different forms of Vit E. Any help on all this? Or any updates would be greatly appreciated. And is there a maintenance dosage for dogs vs a treatment level (which should be higher ie, heart failure, chf, etc)? Thanks! My dog is always itching. I read that vitamin English is good for your dog’s skin.The problem is that it is very hard to open the capsule, you only get a very very small amount and it is very sticky. What do I do?I did put some in the microwave, and got some liquid out what I did get out I put it on his tummy and feet. Know they are all sticky,HELP!! How horrific what these scientist do to these helpless puppies for their research. Helpful article until I read the part of having to torture the puppies and other animals. Try using computer program technology instead of live animals. How can these parasites sleep at night. I totally agree Joann, when I read that I felt physically Sick. Those poor innocent puppies . My vet put my dog on Predazone. Basically he gave him to much which resulted in the drug causing severe hot spots and cause large areas of scabbing. I can tell the dog needs something for his skin. I don’t trust the vet any longer but want to get him on something that will work on the skin. Would it be wrong in giving a very small amount of bit E.